Yesterday we were told they were taking Liam off of oxygen but once we got to the NICU he wasn't off of it, so we figured he wasn't ready and must have had some brady and apnea episodes. Well today we got a call saying he really WAS off the oxygen nasal cannula. 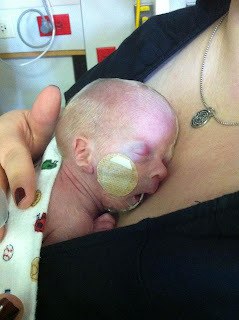 I was so excited and called my mom to see if she could watch Noah while Clint and I went to the NICU. When we got there he was in this little dome. 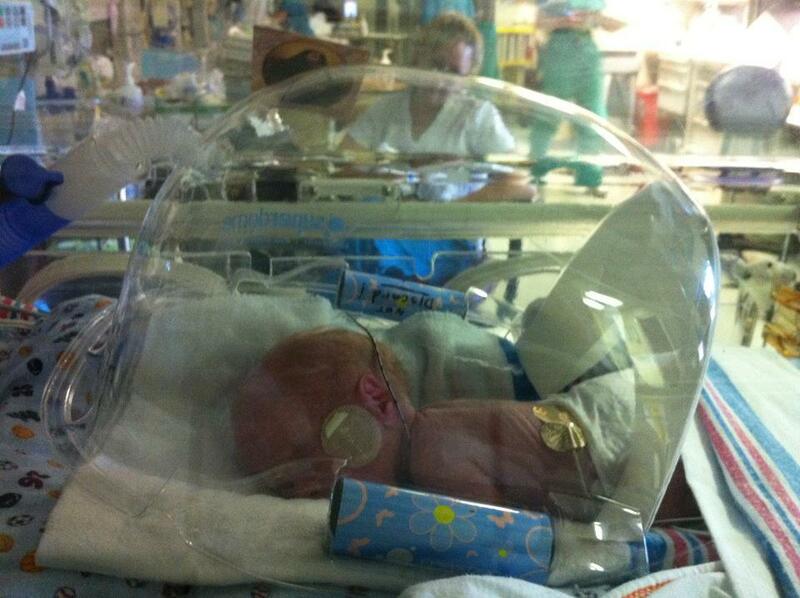 It actually said Superdome on it, so typical for a 'Nawlins NICU baby, right? Hehe, I kid that's the name of the brand but still very fitting! Anyway, the difference is that the nasal cannula has a continuous flow of oxygen into his nostrils whereas the dome just has it in his "atmosphere" and it's not the flow going directly to him. Make sense? I hope so because I don't know how else to explain it! Either way, it's a pretty big deal and it's giving his poor little nose a rest since he has has it in for about a month. He looks so sweet with no nasal cannula!